As I have mentioned before, we don’t have a lot of storage space in this house so every bit has to count. 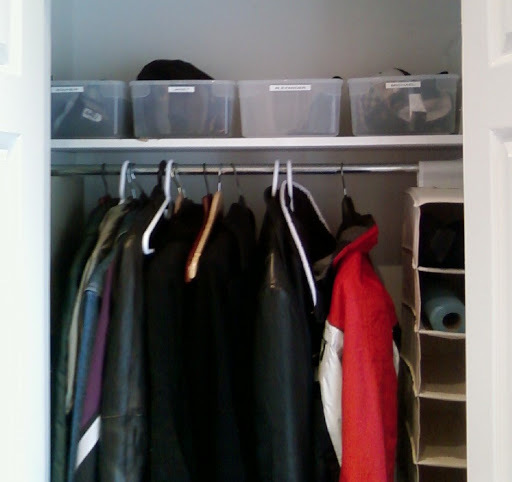 Our front hall closet will the be repository of every winter boot, glove, scarf, coat, slipper, etc used by the four of us, so it needed to be well-organized. Here are the “Before” pictures. Note the jumble of miscellaneous stuff on the upper shelf. And the floor was crowded with shoes that haven’t been worn recently, brooms and mops, a gym bag, etc. 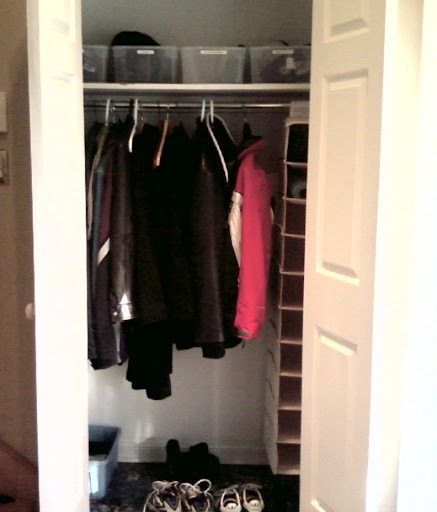 After: I started by moving the brooms to a basement closet where I installed hooks to hold them all. I purchased four clear plastic bins and labeled them with their new owners’ names. 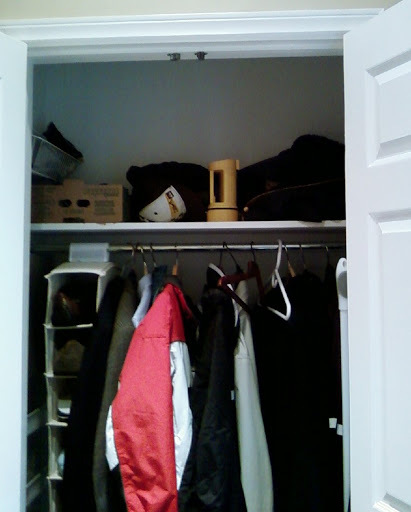 The hanging shoe rack will be limited to slippers or other indoor shoes, and dog walking apparatus (leashes, bags, and paper towels for cleaning his feet after a walk). 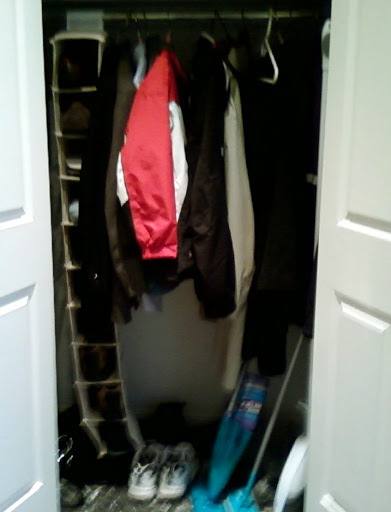 The shoe cleaning stuff (that was in the cardboard box on the top shelf) is now in it’s own bin on the floor at the back of the closet. 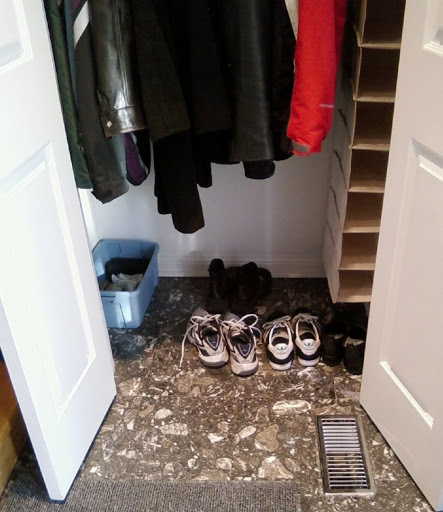 The rest of the closet floor will be **strictly limited** to outdoor shoes.